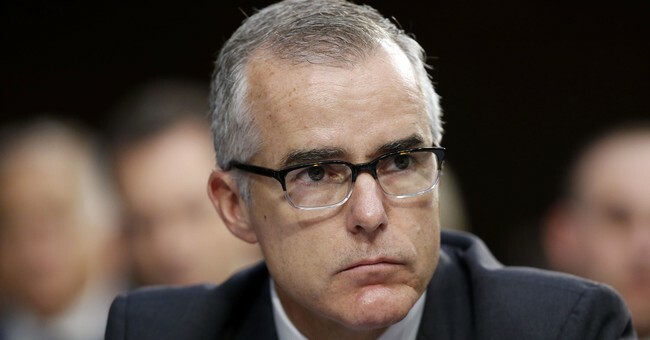 Andrew McCabe's firing divided Washington over the weekend (more than usual). Attorney General Jeff Sessions's decision to dismiss the former FBI deputy director two days before his retirement was either cruel, or swift justice for the Obama-era appointee who was charged with mishandling the Hillary Clinton email investigation. Sen. Marco Rubio (R-FL) was in the "it's cruel" camp. He "would have done it differently," he told NBC's Chuck Todd Sunday. "I don’t like the way it happened," Rubio added, noting that McCabe "should have been allowed to finish through the weekend." Most Democrats didn't like the firing either. Some, like Rep. Mark Pocan (D-WI), even sent McCabe job offers so he could receive full benefits they believe he rightfully deserves after 20 years in public service. Lacking human decency is a major character flaw for @realDonaldTrump. The President is trying to send a message and derail the Mueller investigation by firing McCabe just days before his retirement. My offer stands to hire McCabe to ensure he receives his benefits. Wisconsin Republican Leah Vukmir, who is running to unseat Sen. Tammy Baldwin (D), thought these job offers were disgraceful. So, she made a suggestion Monday that would make it illegal to hire a federal government employee "for the purpose of padding a taxpayer-funded pension." Under her proposal, anyone found "exploiting the federal public benefits system" in the manner described above would pay a civil penalty equal to the cost to taxpayers of the pension boost. Vukmir's team didn't seem to think McCabe deserved a full pension anyway, based on the fact they referred to him as an "Obama FBI stooge."